Don't want a solar panel on your roof…how about one floating on the lake behind your home? A Los Angeles city councilman is floating - literally - a proposal for the city to build a unique solar energy production site. He wants the city to float solar panels on Los Angeles reservoirs. From identifying more accurate qualifications and better targets to enhancing assessments and ROI calculations, solar providers stand to gain a tremendous competitive advantage with the help of cost and consumption data from utility bills. The addition of energy storage to an existing or new utility-scale PV installation allows system owners and operators the opportunity to capture additional revenues. Traditional storage plus solar applications have involved the coupling of independent storage and PV inverters at an AC bus or the use of multi-input hybrid inverters. An alternative approach - coupling energy storage to PV arrays with a DC-to-DC converter - can help maximize production and profits for existing and new utility-scale installations. 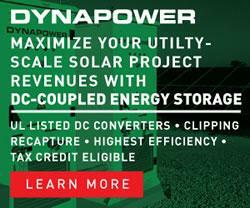 DC-Coupled Utility-Scale Solar Plus Storage leads to higher round-trip efficiencies and lower cost of integration with existing PV arrays and at the same time, opens up new revenue streams not possible with traditional AC-coupled storage, including clipping recapture and low voltage harvesting, while being eligible for valuable tax incentives. sonnen was founded in Germany in 2010 and is the European market leader for smart storage systems with over 24,000 energy storage systems installed globally. 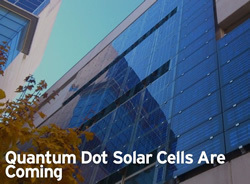 The company's all-in-one storage-plus-solar solution, the sonnenBatterie intelligent energy storage system, is available in the U.S. and provides benefits to residential customers, from cost savings through better energy management, to backup power in the event of grid outages and the capability to go off-grid, supplying customer with up to 100% of their energy.